If you've ever wondered if there are any planets in the cosmos that could sustain human life, Nasa may just have some interesting tidbits for you. The US space agency has revealed some results from its Kepler Mission, which posit that two planets outside Earth's solar system are very 'Earth-'like' and habitable. 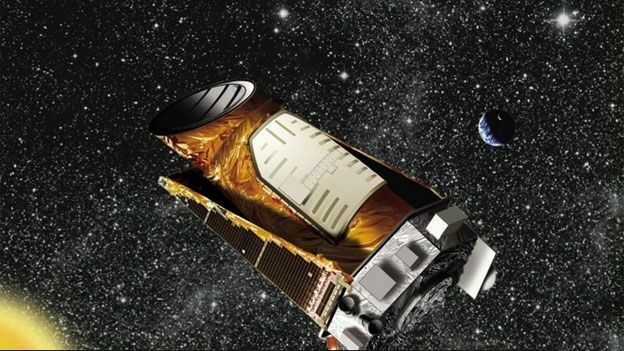 The Kepler Mission, for those who aren't familiar with it, is an exploratory endeavour involving the Nasa space observatory platform, Kepler, aimed at discovering Earth-like planets orbiting other star. Both worlds, which Nasa has dubbed Kepler-62f and Kepler-62e, are slightly larger than Earth and orbit a star - named Kepler 62 - that's 1,200 light years away from Earth. “Two of the newly discovered planets orbit a star smaller and cooler than the sun," Nasa said in a statement. Both planets are the correct distance from the sun that they orbit to infer that their climate will be neither too hot nor too cold for liquid water to exist on their surface. Nasa says that satisfies one of the two criteria it considers necessary to sustain human life.